Mahindra and Mahindra the renowned name for the Indian as well as global consumers has done a comeback in six speed automatic gear box again. The auto giant has written a history with its superb product Scorpio. The SUV Scorpio has come up with loads of features to attract consumers and was able to do so. We Think basis on that golden respect and favor in the eyes of consumers for the SUV Mahindra has decided that six speed automatic version would come back with a different sling comprising the gear box. The auto major has said that they have now open for bookings or the Scorpio automatic. The sourced news from a major website we came to know that Mahindra and Mahindra has joint hands with Bosch and taking a new six speed automatic transmission instrumentation. As per the aired news Mahindra used to take the six speed automatic transmission from ‘Drive Train International ‘. The company has a set up in Australia. The supplies were put to an end when the Drive train International was acquired by the Geely from China. An Indirect force came from Chinese company Geely in order to set a new and alternative supplier. When Mahindra started to sell the Scorpio it was only one version and that to be the top variant VLX trim Level to have the six speed automatic transmission. SUV market is the emerging and the largest market in India from last two years. Consumers any where across the globe would be requiring the cheapest vehicle with all new stuffing. The Mahindra Scorpio remains the cheapest SUV stuffed with all new smoking exteriors and heated interiors provided with the Bosch instrumentation of six speed automatic transmission. The automatic transmission by Mahindra and Mahindra was not ever a good competitive product in Indian scenario but then it was a target to overseas sales. The Six speed automatic transmission became an exemplary mode for XUV 500 AT for Mahindra and Mahindra. 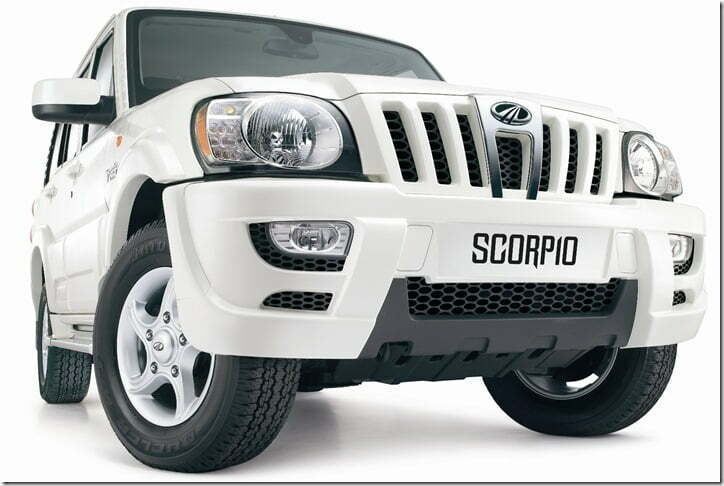 The Scorpio is priced between 11.47 lakhs to 12.49 Lakhs depending on the variants respectively. Check out more new car launches here.